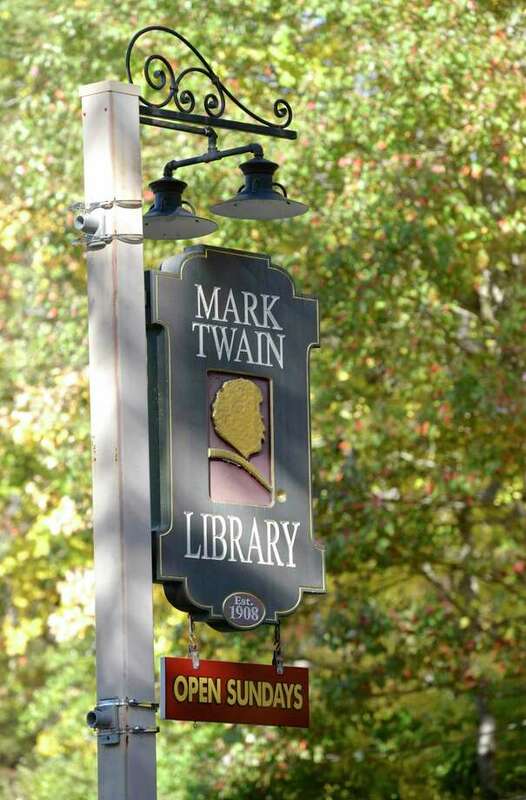 File photo of the Mark Twain Library sign. Mark Twain Library is seeking volunteers for the 24th annual Frog Frolic fundraiser, which will be held from 10 a.m. to 4 p.m. on April 27 at the Redding Community Center. The Frog Frolic is a children’s country fair featuring games, prizes, crafts for children, giant inflatables, a silent auction, a bubble garden for toddlers, entertainment and food. The library needs at least 200 volunteers, spread out over four shifts. Volunteers can sign up for multiple shifts. Setup is from 8 to 10 a.m., the first shift of the event is 9:45 a.m. to 1 p.m., the second shift is 12:45 to 4 p.m. and cleanup is from 4 to 6 p.m. Volunteers are able to work the food tent, games, prizes, inflatables or crafts. Volunteers must be in at least sixth grade. Bakers can also submit cakes in the theme Going Green. The cakes will be judged in junior and adult divisions and awarded ribbons based on how they’re decorated. The cakes will be awarded as prizes in a cake walk. Cakes can be dropped to the community center between 9 and 10 a.m. the day of the event. People and businesses can also sponsor the event. For more information, please email FrogFrolic@MarkTwainLibrary.org or visit www.marktwainlibrary.org.